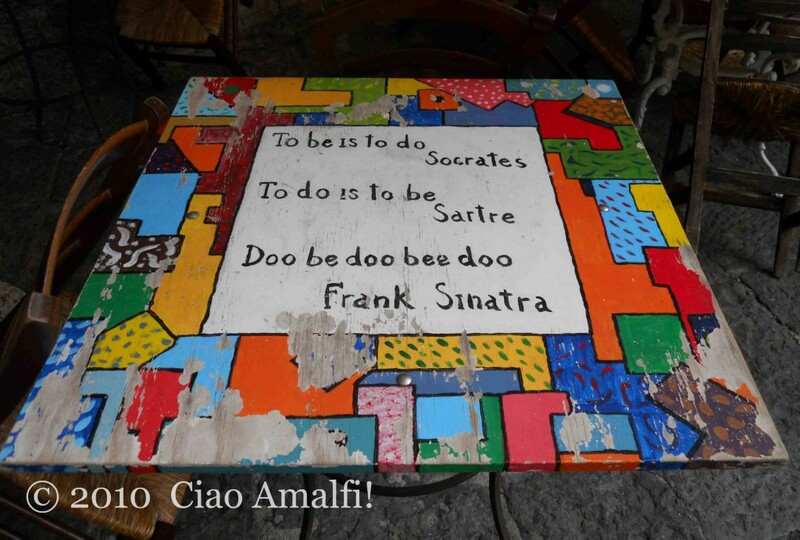 My mom spotted this funny table at a restaurant in Amalfi last week, and I couldn’t resist taking a photo. I thought a silly Photo Friday was in order this week. Usually covered with a white tablecloth and elegent table setting, I’ll always smile when I walk by knowing what’s really underneath. Wishing everyone a Doo be doo bee doo weekend! This week Cecil Lee, travel photographer extraordinaire, is back to tell us about Florence, another spot in Italy he fell in love with during his travels earlier this year. And since I just visited there for the first time this past spring, I know what it’s like to fall in love with the beauty of Florence. Apart from falling in love with Venice during my trip to Italy, I also found myself falling for the art, historical and cultural capital of Italy – Florence. A UNESCO’s World Heritage Site, Florence is the capital of the Tuscany region in the middle of Italy. I fell in love with Florence because she is so elegant and different from the rest of Italian cities I visited. 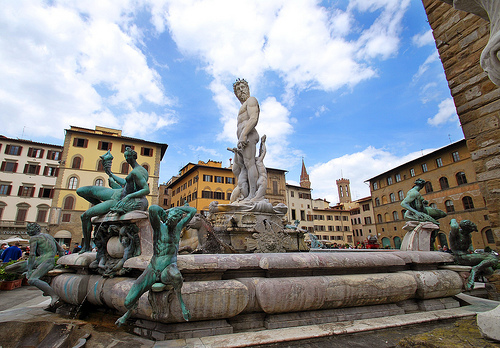 The city lies on the River Arno, which separates Florence into new and historic sections. Florence is known as the birthplace of the Italian Renaissance with its strongest influence in Italian art and architecture. Two of the greatest artists of the Renaissance, Michelangelo and Leonardo da Vinci, lived and worked in this beautiful city. 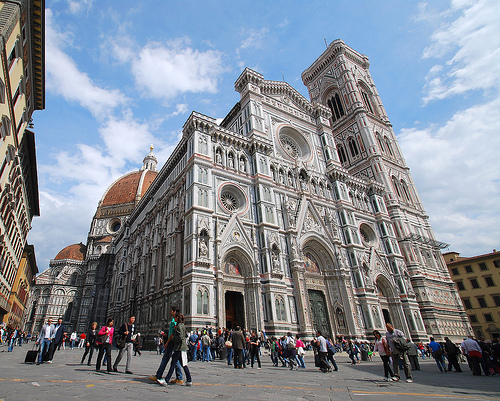 Florence is widely regarded as one of the most beautiful cities in the world. When we first arrived at its main rail station Santa Maria Novella, abbreviated as SMN, and walked out from the station, we were surprised to find ourselves already in the heart of historic Florence. We started to explore the city attractions one by one since they were all within walking distance. The most dominant icon of Florence would definitely be the Duomo, or Cathedral, the highest building in Florence. Climbing up 460 steps of spiral staircase to the tower top offers the best view of Florence. Next would be the Accademia Gallery. I had to queue for 45 minute to get in, but it was worth it to see the original David, the greatest sculpture done by my favorite sculptor Michelangelo. Sitting at one of the many open air cafés at Piazza Della Signoria, I could actually see some of those famous sculptures as well as people watching. A replica statue of David could be found here. For my wife who loves leather bags and wallets, the San Lorenzo open market was a “must-go” spot. 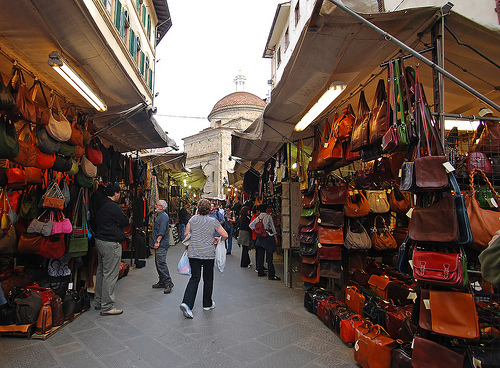 We spent hours in there to buy some of those high quality local leather products such as shoes, bags, wallet that are made in Firenze. In the evening, we walked along the River Arno, the main river of Florence and Tuscany. We came to the Ponte Vecchio bridge, the oldest and most famous bridge that crosses over the River Arno. There are shops selling jewelry, art and souvenirs. In the evening under the setting sun, it just looked marvelous in yellow color. When the night fell, we took a bus up to the hill top at Piazzale Michelangelo. 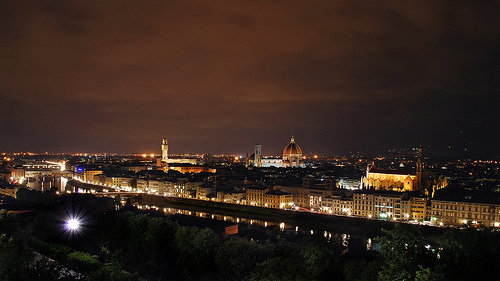 It is the best viewpoint to Florence city skyline. I set up my DSLR onto a tripod and shot endlessly! Florence is also a great location for visiting other important cities of Tuscany, such as Sienna and the wine producing area Chianti to try the Chianti Classico wine. Florence offers much more than that, too. The local foods are marvelous! I couldn’t help but to try the local gelato, as well as the famous Florence steak with a glass of Italian Chianti Classico wine as well as the traditional bread with Tuscan Extra Virgin Olive Oil. Florence offers so much beauty to discover! Even though the weather has turned rainy and cool, especially up in the mountains of the Amalfi Coast, there’s still a touch of summer in the air in Amalfi. 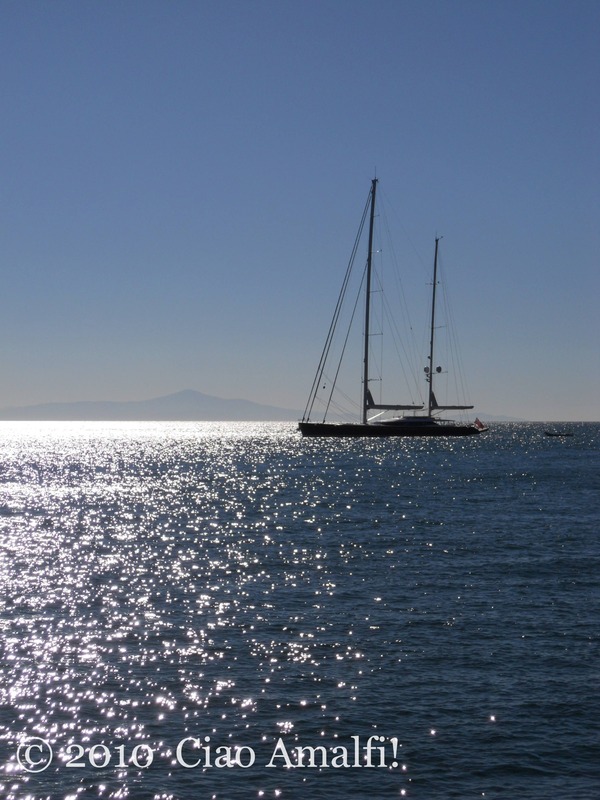 One morning this week I was out for a walk in the warm sun and I snapped this photo of a sailboat. For a moment it felt just like summer! Even though I know autumn is just around the corner, I’m savoring every little bit of summer while it lasts. 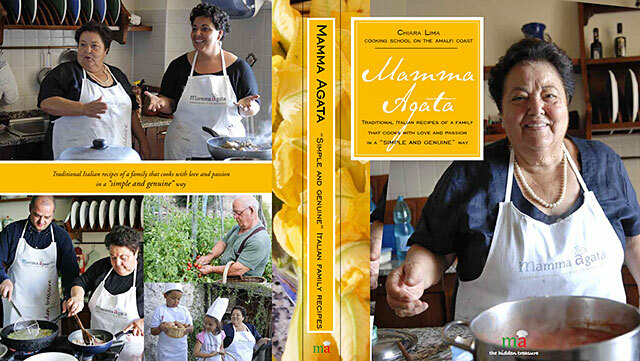 Mamma Agata’s USA Cookbook Tour! Over the past two weeks I’ve shared with you about the Mamma Agata Cooking School on the Amalfi Coast, located in an absolutely dreamy spot in Ravello, and one of my favorite cookbooks called “Mamma Agata – Simple and Genuine.” My dear friend Chiara Lima, author of the cookbook and director of the Mamma Agata Cooking School, is about to head off to the USA for a tour celebrating her fabulous cookbook. I know many of my readers are located in America, and I’m excited to share with you the details about Chiara’s cooking and book signing events. If you love the Amalfi Coast and Italian cooking, you won’t want to miss out on meeting Chiara and picking up a copy of her cookbook. Best wishes and safe travels to Chiara as she travels across America sharing her family’s passion for cooking and the good life – Amalfi Coast style! Will you be able to meet Chiara Lima during her USA Cookbook Tour? There are days when you just need a laugh, and that’s when you pull your favorite funny film off the shelf. This week Cherrye Moore from My Bella Vita is back to tell us about her favorite comic Italian film. Even if comedies aren’t your first movie choice, you’ll enjoy traveling to Palermo, Sicily with the beautiful setting for this movie. I know this one has been added to my must see list for the next time I need a funny Italian escape! Like many expats in Italy, practicing the language, working on grammar and perfecting pronunciation is a non-stop, never-ending job (that doesn’t pay overtime). As I mentioned last month here at Ciao Amalfi, I think watching Italian movies is the best ways to kick your Italian language skills up at notch. I make every effort to watch them, whether they are serious, like my all-time favorite Italian movie, La Vita è Bella, or shall we say … silly, like another one of my favorites – Il 7 e l’8. 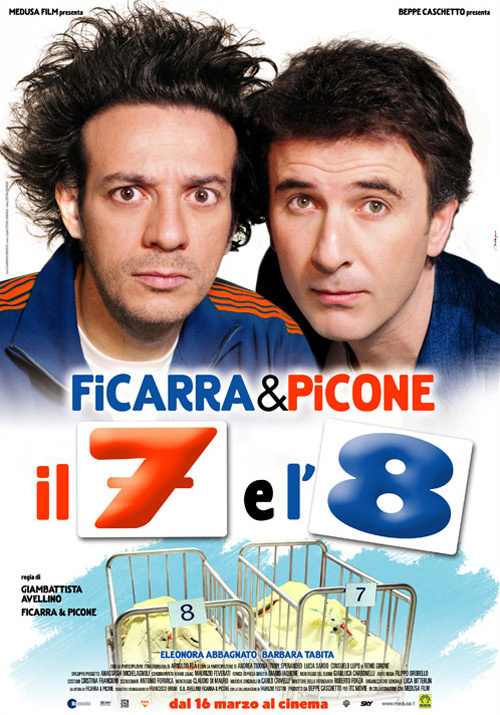 Il 7 e l’8, or “7 and 8,” in English, was a 2007 hit that stars the nationally-famous Sicilian comedy duo, Salvatore Ficarra and Valentino Picone. It was one of the first Italian films I tackled at the theater and if you are familiar with Italian TV, you may have seen this pair on Striscia la Notizia or in one of the other handful of movies they’ve starred in together. These faces look familiar? I’m not usually one for slapstick comedy and I have to admit sometimes Italian humor is lost on me. But I just loved this movie. The premise is simple. Two boys born on the same day in the same hospital are switched at birth by an angry nurse and live separate lives-one is a petty crook, the other a straight arrow-until their paths cross 30 years later. Not only is the movie filmed in Palermo, offering great scenery and insight into this Sicilian city, but it is also a fun way to learn more about Sicilian culture, customs and expressions. The movie is easy to follow, so as with all Italian films, you’ll feel like you missed something if you watch it dubbed into English-if this is even a possibility. Still, if you feel like you need a little help, just switch on the subtitles and follow along, with both audio and subtitles set to Italian and get ready to giggle. It’s not the most serious movie you’ll set your sights on, but it is a cute, feel-good, learn-some-new-Italian-words flick that isn’t work for us non-Italians to watch. So, if you’ve seen it, let me know what you think. And if you haven’t, then consider renting it the next time you are the mood for a fun Italian film. 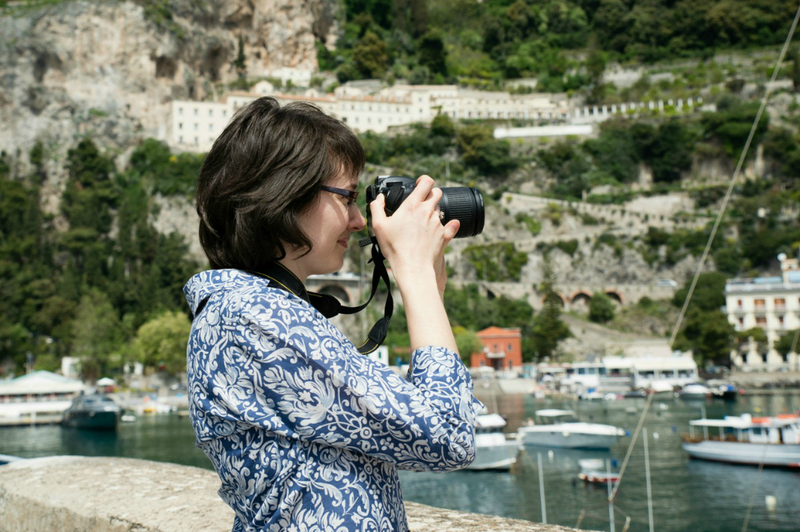 Cherrye Moore is an American travel writer and consultant who organizes Calabria tours in southern Italy. She writes about travel for MNUI Travel Insurance and about traveling in Calabria on her site, My Bella Vita.